View cart “The Road to Nowhere” has been added to your cart. 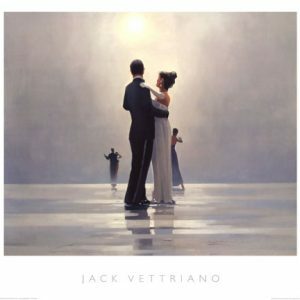 Artist Jack Vettriano painted with figures wearing black standing out against soft lighting, Vettriano’s paintings capture fleeting moments of romance. His artwork was often made dramatic by his wrapping the painted scene in elements of weather and late sun. 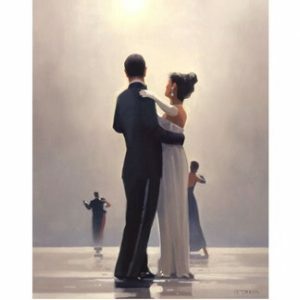 A butler’s coattails flap as a breeze blows a woman’s hair. The late sun lights up the sand beach like liquid gold. 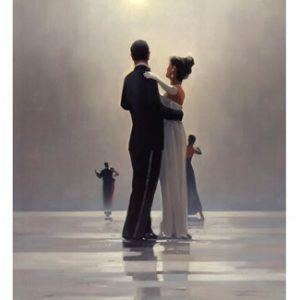 Often his artwork depicted people on the beach sometimes dress in black contrasting delicate linens. 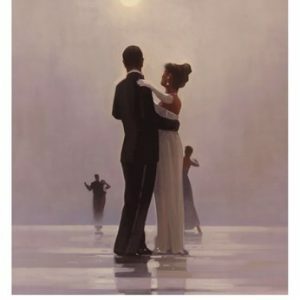 Vettriano’s painted figures sometimes exist in small social groups interacting in fleeting moments overlooked by billowing clouds. 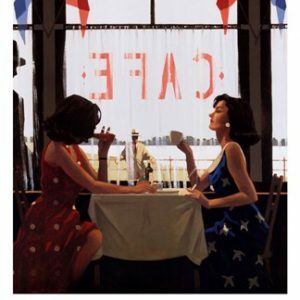 More intimate scenes are characterized by Vettriano’s use of mostly black. 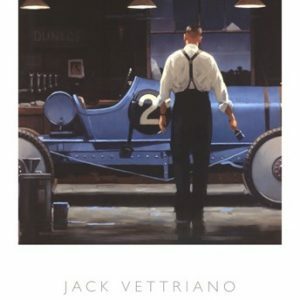 His paintings used a well placed light source and a single dominant color such as red or blue. 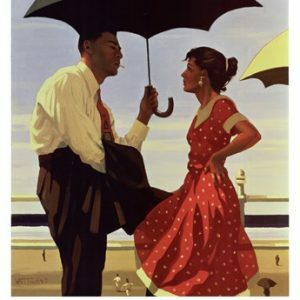 Umbrellas imply that special moments may be made of less than perfect circumstances. 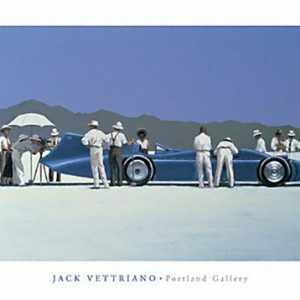 In the 1970s, Vettriano started painting when a girlfriend brought him a set of watercolor paints. After creating many works of art and practicing by emulating the works of Monet’s Poppy Fields. 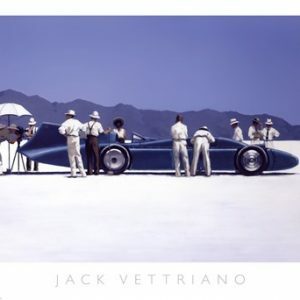 Soon Jack Vettriano decided to broaden his horizons.